Not everyone is aware of the specific needs that both cats and dogs have with regard to their food. 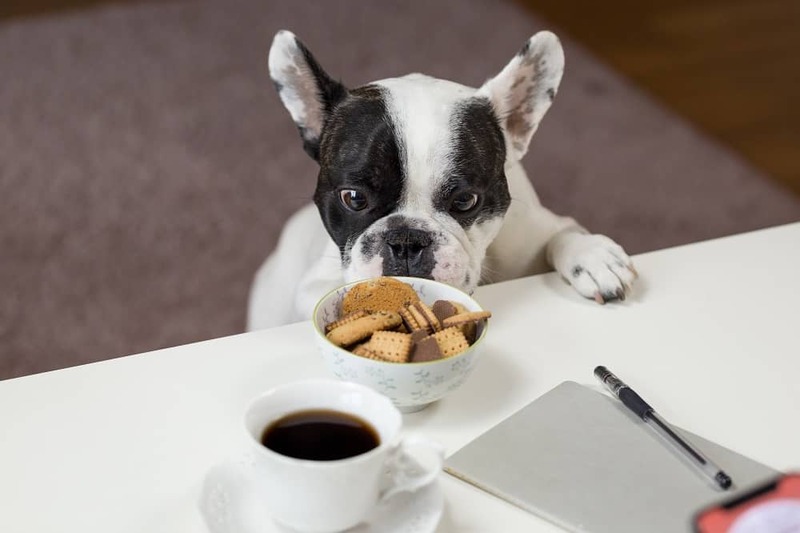 However, it's important to be aware that you can't simply give both pets the same kinds of diets, as it can result in some serious problems for one of the animals. 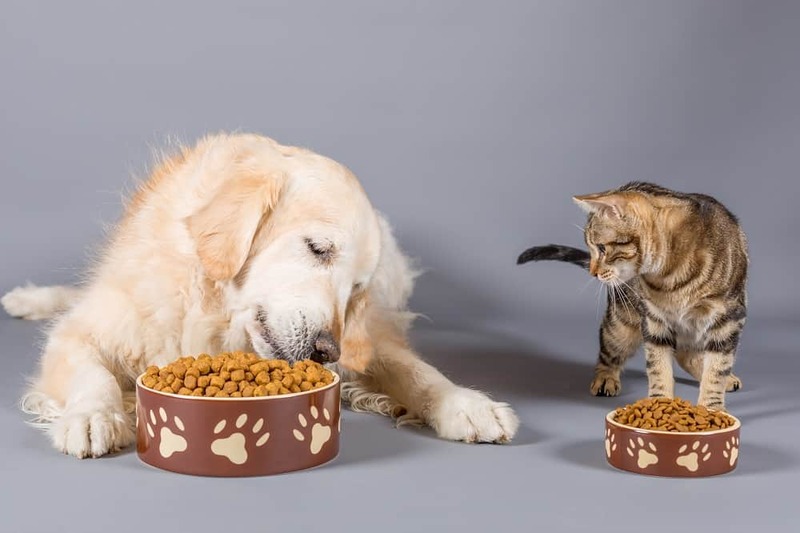 To help you with getting a deeper understanding of what your pets need, we're going to take a look at the difference between dog food and cat food. We'll also discuss why it's important to not only make sure pets get the right type of food for their species, but also for their ages. Cats are what we consider to be true carnivores, which means that they primarily need to eat meat products. Their bodies are designed to get what they need from meat sources, whereas omnivores and herbivores can also use plant sources. Some examples of vitamins that cats need are niacin, taurine, arachidonic acid and vitamin A. While other animals may be able to get some of their requirements for these vitamins from plants, cats have to get them from meat. Their bodies just aren't made to be able to get Vitamin A from the kinds of fruits and vegetables that we might. As a result, it's very important for cats to eat food that is able to meet their specific needs. Otherwise they can have problems with vision, heart issues, hair loss and more. It's also important to keep in mind that cats tend to be pickier about their food texture than other animals as well. As a result, you can't just feed your cat any old food. It is best that you'd know the ideal diet for cats and the sorts of food cats can eat. Unlike cats, dogs have the ability to get some of their nutrients from plant sources. This makes things like niacin and vitamin A easier for them to get, and often results in some vegetables added into their food. While much of it is still meat-based, you may also find that things like carrots are in the food as well. Another aspect to keep in mind is that dogs don't often tend to be picky, their food can be just about any texture and they'll still woof it down if they like the flavor. In addition, dogs also typically need less protein in their diet than cats do. The answer to this is a solid no. While cats and dogs may seem similar, they have diet requirements that are very different. As a result, feeding your cat dog food can result in some serious health problems, even including the cat going completely blind. This is because cats aren't going to be able to get their nutrients from the vegetables often found in dog food, so even if there is enough of a nutrient like vitamin A, cats won't be able to get the benefits from it because it's not coming from a meat source. Dogs may be more likely to handle cat food better than cats can handle dog food, but it still isn't recommended. There really are a number of reasons why cat food and dog food exist in separate markets. It's really not just to make you spend more money! On top of ensuring that pets get the right food for their species, you'll want to make sure they're getting the correct food for the stage of life they are in. For example, there are some different food options out there available for kittens, adult cats and senior cats. 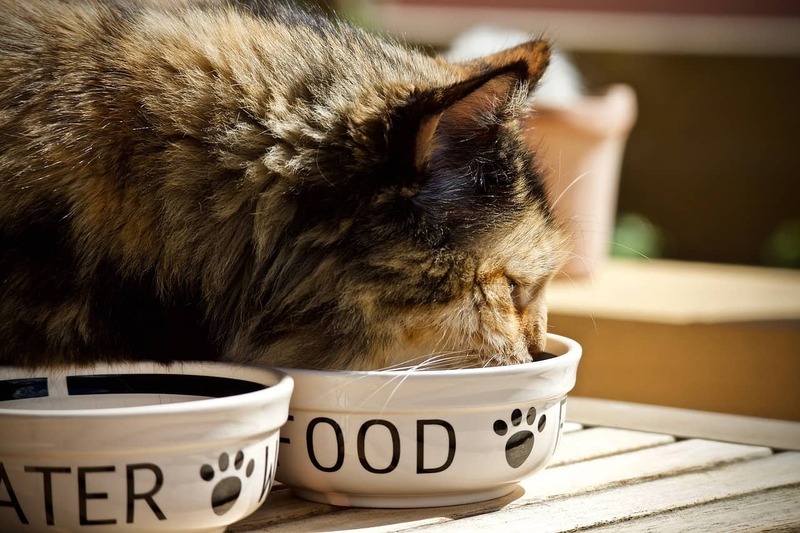 While it may not be as important as making sure you feed cat food to your cat, there are some differences that make these life stage foods helpful. For example, kitten food may be likely to have more fats and proteins to help them grow while senior cat food may contain nutrients to help maintain the health of areas that can begin to fail with old age, or even provide some joint help so that older cats can stay active. The same is true for dogs, which means it's a good idea to make sure you give your puppy, adult dog or senior dog the right food for their age. Pets who get the exact nutrients they need can live healthier, happier and even longer lives because they'll be getting what their body needs. This is especially important for senior pets, as they need the extra boost for the longest, happiest life possible. If you still have concerns about the type of food your pet needs, you have a number of options to get you going in the right direction. You can do plenty of research and look into different methods and brands. Some even choose to make their own pet food. Another option you have is to talk to your pet's veterinarian. They are going to be the expert on providing food options for your pet. Having studied the needs of animal bodies, they'll make sure that your individual pet is able to get all the nutrients they need for a healthy body. The latter is going to be the absolute best option, especially if the vet can provide food for you. 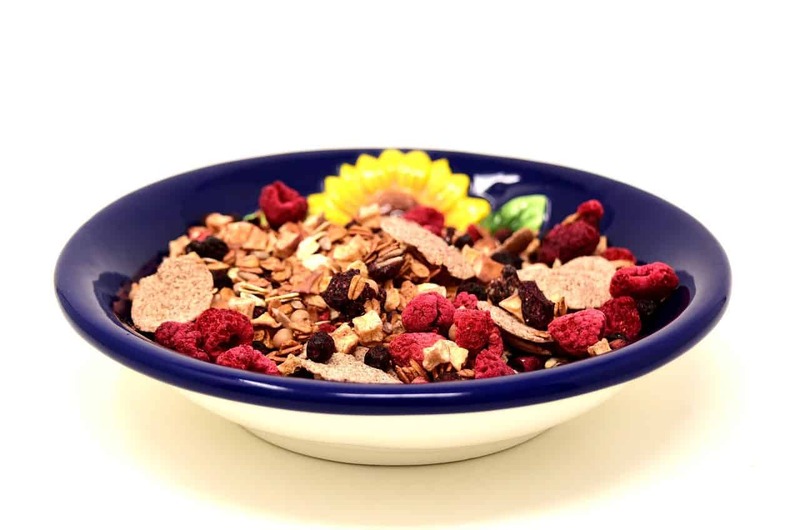 While cat or dog food purchased at the veterinarian may be more expensive, it's often a lot healthier for your pets and can even help to resolve certain kinds of health issues. This will greatly help you distinguish which foods are harmful and safe for your pets. 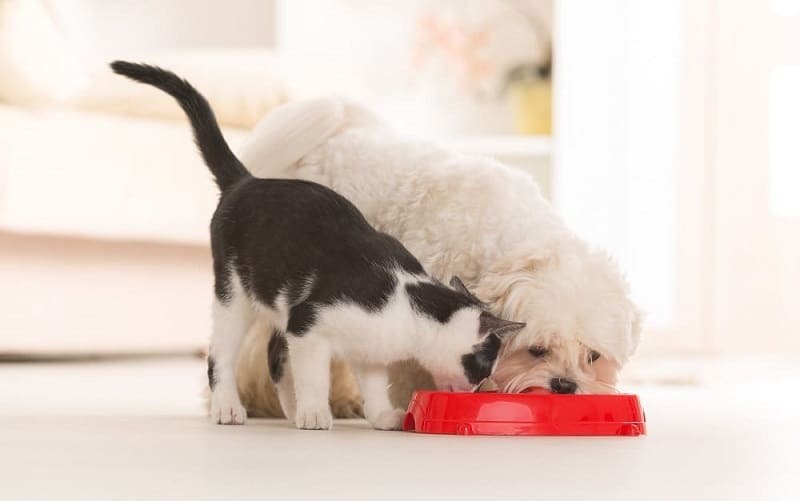 The main point of this article is that it's generally not a good idea to have your cats and dogs eating the same food, as one or the other is likely to not get what they need. Cats especially need a lot of nutrients that just can't be found in dog food, and that can mean poor health for your pet. Important note and to keep in mind that water is essential for our pets as well. Your veterinarian can also be a great resource for helping you to find the perfect food for your unique pet. They may also be able to provide the ideal food for you, which can allow you to rest assured that your cat or dog is eating something healthy and delicious. Everyone has their own opinion on what is the best type of diet for their cats, but in many instances, they are completely wrong. Cats need a good combination of proteins and other nutrients in order to be healthy and happy, and these nutrients must come from healthy dietary sources. Obviously, cats are carnivores, so their diets are mainly meat, fish, and poultry based. But really, what is the best diet for cats? They also have some vegetables in their diets, whether they get it from their regular food or from their prey (or to be more exact, from what their prey eats). Today we are going to take a look at what cats really need in their diet, and the type of diets that is best suited for cats. What does Your Cat Need? Cats need plenty of fat and protein in their diets, and the best diet would be a mix of 26 percent protein and 40 percent fat. Unfortunately, many cat food brands do not meet these requirements, especially the less-expensive brands. It is important to check the nutritional information on the labels to make sure that your cat is going to get the fat and protein they need. Another option is to start giving your cat a diet of homemade food that you make yourself. It will improve the quality of their diet, and you will be in control over all of the ingredients that go into it. While this is often healthier for cats, it is only healthier if you are providing them with the right nutrients. So, before embarking on making your own cat food, it is important to do your research so you understand all of the nutrients your cat needs, and which ingredients have these nutrients and are safe for them to eat. You should know that there are some foods a cat can eat and cannot. Whenever you alter a cat’s diet, there are going to be a few digestive issues in the beginning. This is also true when you switch them over to a natural diet. It is better to wean them off store-bought food over time, by combining wet food, dry food, and homemade food. 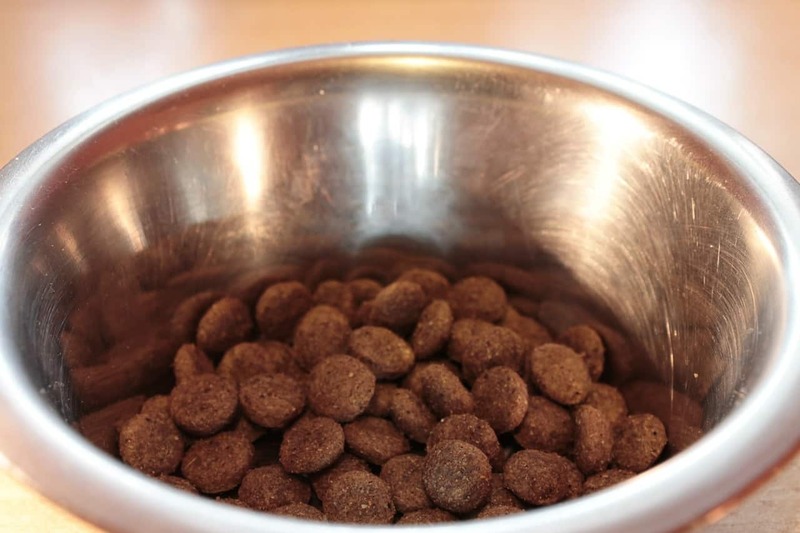 Over time, give them less and less of the regular wet food, and more and more of the homemade (more about homemade cat food later in this article). Even if you are giving your cat a homemade diet, it is still important that they have regular access to dry food, even if it is store bought. They need this for various reasons, dental health in particular. It can help to prevent the buildup of plaque on the teeth. But, you need to be careful about the kind of dry feed that you give to your cat. A lot of dry feed, particularly the cheaper varieties, is low quality, and they contain ingredients that are not healthy. They are also too high in fat, which can lead to obesity in your cat. The type of dry feed you give your cat depends on the stage of their life, as nutritional requirements will change throughout the years, just as they do with people. Additionally, dry food seems a bit rough to swallow at times for our cats so it's perfectly appropriate not to forget providing a lot of drinking water for our cats. Cats that are still growing and developing need dry feed that is high in protein and fat. Better quality feeds will also contain vitamin supplements, as well as additional calcium for growing bones and teeth. Adult cats do not need as much fat in their diets as kittens, so the dry feed you choose should be high quality, and have the proper amount of fat for an adult cat (about 40 percent). Neutered males require dry feed that contains little to no ash. Feed that is high in ash can lead to kidney troubles in adult male cats. Older cats need even less protein and fat than younger adult cats, so look for dry feed that contains less of these nutrients. This is because older cats do not get a lot of exercise, and they are much more sedentary than their younger counterparts. If they were to have food that is high in fat and protein, there is a risk of obesity. There are a lot of arguments about whether or not homemade diets are healthy for cats. With more and more pet owners choosing to make their pet food, this is a topic that bears discussion. First of all, when made properly, it is much healthier for cats to eat homemade food than it is for them to eat some concoction out of a can. But, as mentioned earlier, you need to really know what your pet needs in the way of nutrients before you can start making food. In addition to using ingredients that have nutrients cats need, you also need to make sure that you are using ingredients that your cat will actually eat. Many cats do enjoy eating vegetables, but for some cats, if you put too many veggies in their food, they are just going to turn their noses up at it. Also, what are you going to use for healthy filler? The food can’t be made entirely from meat and vegetables. One of the most popular fillers for homemade cat food is rice, because cats like it and it is loaded with nutrients. Until you are well-versed in the ingredients, and the measurements, for a healthy homemade diet for cats, it is best to only supplement your cat’s diet with homemade food for the first little while. This will give you some time for a bit of trial and error, and your cat will still get the nutrients they need from the store-bought food. Whether you feed your cat a homemade diet or give them food that comes from the store, make sure that it has the nutrients your cat needs at every stage of their life. If you are unsure about what to feed your cat, you can ask your veterinarian for dietary tips for all stages of a cat’s life. Don’t forget to ask about homemade diets, and ask for ingredient recommendations. How much water should your cat be drinking in the run of a day? Do you think that your cat may be drinking too much, or too little water? Generally, cats will drink about two millimeters of water per gram of dry food eaten. This may not sound like much, and it isn’t. While cats do need water to survive, they don’t need a lot of it. Below are some of the reasons why we see our cat drinking a lot of water. It takes about 24 hours to replace 6 percent of a cat’s body weight with water. Cats that eat wet food require even less water. So, if your cat doesn’t seem to drink a lot, it probably isn’t anything to worry about. But, what if your cat is drinking too much water? Today we are going to take a look at reason why cats may consume a lot of water, and when to worry about it. You need to learn some of the differences of cat food to determine some factors. How Much Water Should Your Cat Drink? 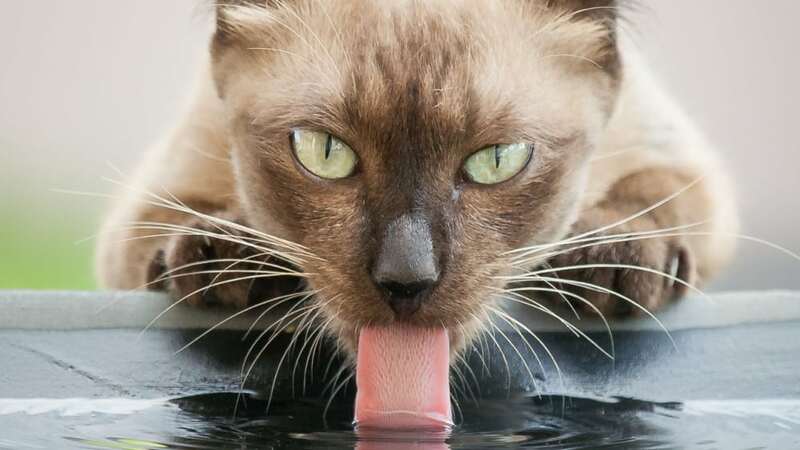 Why Do Some Cats Drink Too Much Water? At the most, a cat should drink about a cup of water per day. There are occasions when some cats will drink more, just to get attention or because they have noticed a tap running and they want some. But, as a rule, they don’t need to drink much water. 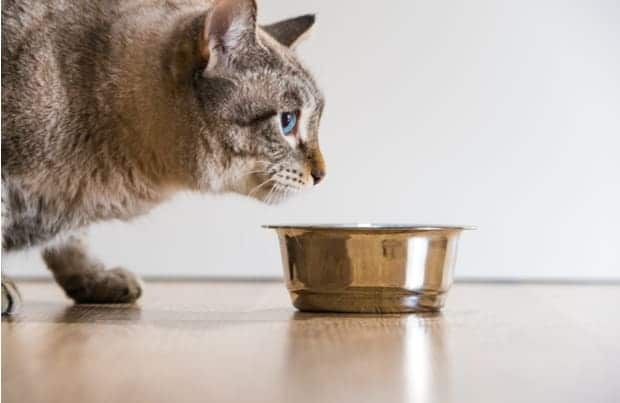 If a cat is drinking more than a cup of water daily on a regular basis, then there may be something to worry about, and you should seed advice from a veterinarian. Diabetes mellitus is a disease that is caused by an insulin deficiency because the body is not able to use glucose properly. In humans, excessive thirst and urination are symptoms of the disease, and it is the same with cats. 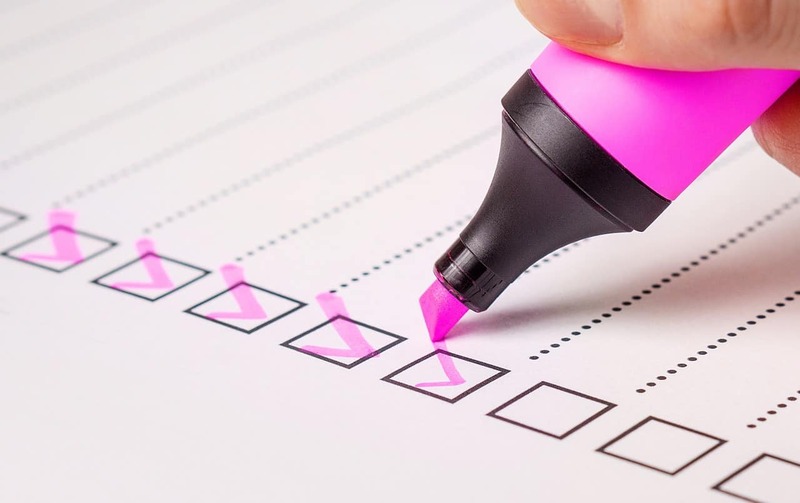 There are also other symptoms you should look out for, including weight loss, panting, halitosis, dehydration, vomiting, and overall tiredness. Cats that are diagnosed with diabetes must be treated with daily insulin shots. Without treatment, diabetes can cause blindness, in both humans and cats. Excessive drinking can also be a sign of kidney failure, also referred to as uremic poisoning. This health condition causes the kidneys to not be able to function as they should, and they will not be able to filter and remove waste. There are many things that can lead to kidney failure, including urinary tract blockages, poisoning, blocked arteries, blood clots, infections, shock, and old age. Symptoms can include increased urination and spraying, a brownish color on the surface of the tongue, weight loss, loss of appetite, diarrhea, and vomiting. Kidney failure can be treated, depending on the cause. If left untreated, kidney failure can be fatal. An inflammatory disease that affects the kidneys and causes them to not be able to filter blood properly through the body is known as Glomerulonephritis. 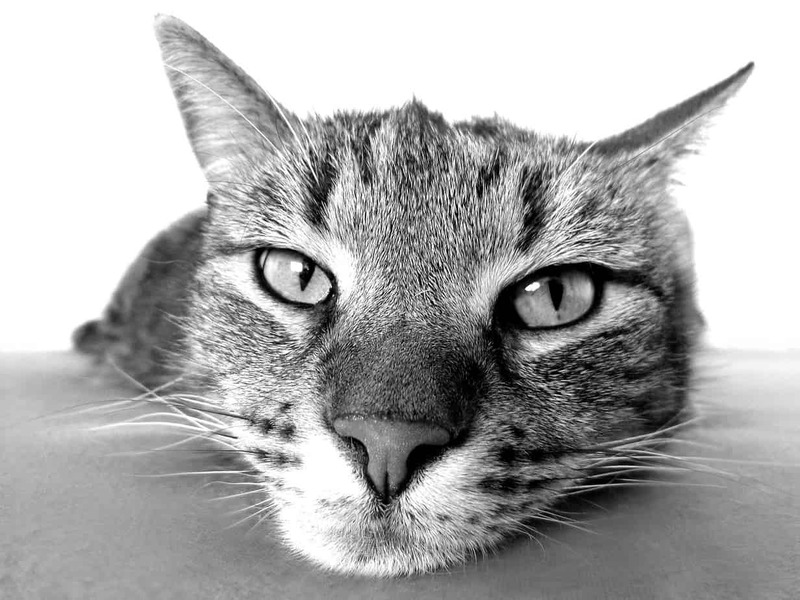 This disease accounts for the loss of substances that a cat’s body require, including protein. Some symptoms of this condition include frequent urination, lethargy, loss of appetite, weight loss, breathing difficulties, swelling of the abdomen and rectal area, facial swelling, and vomiting. It can be caused by many things, including infections, cancer, feline AIDS, and the feline leukemia virus, and it can lead to kidney failure. When there is a lack of protein metabolism in the body, it is known as amyloidosis. The proteins that are not metabolized can end up deposited in a cat’s kidneys, as well as other organs, leading to organ failure. This is a very rare condition, but it can be fatal. Some symptoms include frequent urination, impurities in urine, facial swelling, abdominal swelling, loss of appetite, weight loss, nausea, vomiting, and difficulty in breathing. This condition can be treated if diagnosed in the early stages. A common condition in cats that causes increased thirst is hyperthyroidism. This condition is caused by an overactive thyroid gland, and it can cause a number of issues, including weight loss, oily skin, acne, diarrhea, vomiting, and changes in a cat’s behavior. While none of these symptoms are life threatening, they can cause cats to feel very ill. If you notice that your cat has suddenly begun to drink a lot more water than normal, it is time to take them to the vet to find out what is wrong. Start monitoring how much water your cat is drinking each day so you can let the vet know. They will take a urine sample to correctly diagnose the cause of the excessive thirst, and then begin the proper course of treatment to ensure that your cat is on the mend and feeling better. For preventive measures, you also need to learn what is the best diet for your cat as it can trigger some reactions which could cause your cat to be ill which results to higher fluid intake than their normal. When you get a cat for the first time, looking after them can often feel like a daunting task. After all, this little fur ball is going to be reliant on you for all their needs. And it can make you feel very responsible, especially when it comes to food. That's why you should learn and know about what can i feed my cat as there are some foods that isn't applicable or advisable for cats to eat. But if you have never looked after a cat before, it can feel like a bit of a minefield. You might be clueless about what they need to eat. In fact, first-time cat owners are often left perplexed and wonder what they should be feeding their cat. After all, they don’t want to end up giving them something which will make them ill.
For starters, you need to know that you should feed your cats twice a day. Opt for first thing in the morning and then just before you go to bed. That way, they will be full enough to last them throughout the day. And if you want to make sure your kitty is going to eat a well-balanced and highly nutritious diet, you should read on for some tips on what you should feed your cat. And remember not all cats have the same tastes. While some cats will want to eat loads, other felines will only want a little food at a time. So play it by ear when it comes to your cat so that you don’t end up feeding them too much. After all, you don’t want an overweight cat as it will lead to many health problems. A lot of people opt for a food pouch for their cat. After all, they often prefer this to dry food as they like the wet taste of the meat, and it can give them some much-needed hydration as a high proportion of it is made of water. However, you need to be very careful which canned food you go for. Some of the cheaper options have little nutritional value. And if you want to make sure your cat has a long and healthy life, you need to make sure they are having high quality food. Therefore, always check the label to make sure the wet food has premium ingredients. Opt for one which only has additives which are beneficial to your cat’s diet. Make sure the actual meat makes up a high proportion of the pack. If you don’t recognize the ingredients, put the wet food back on the shelf. You can often find reviews of the best cat food you can buy online. As well as coupons which will help reduce the cost of the food. Going for a well-respected brand is often a good idea. For instance, opting for something similar to Royal Canin will help you make sure your cat is eating the best wet cat food for them. And then you can be sure they are getting the nutrition they need. Some cat owners go for a dry-food diet instead, or in addition to the wet food. After all, kibbles often have all the nutrients they need so they can skip the wet food. It’s mostly made up of protein and fat which is important for your feline. Dry food is also much better for their teeth than wet food. A lot of vets highly recommend that you just go for kibble instead of wet food. You can find complete dry cat food which is packed full of the nutrients that your cat needs. Just make sure you check out the packaging first. You want a dry food which has a message from the Association of American Feed Control Officials (AAFCO) on the back. This means that it’s been tested and does contain the right amount of nutrients for your cat. If you are unsure of which one to go for, your vet is bound to sell complete dry food which is best for your cat. Therefore, ask them to be pointed in the right direction. While you don’t want to give your cats too many treats, a few a day is a great way to spoil them and allow them to have a tasty snack. After all, if they have been well-behaved, treats can help to reward them. 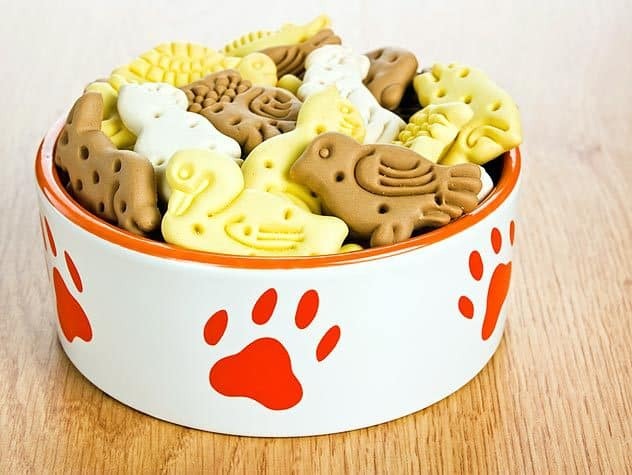 Although you can’t really train cats with treats like you might do with a dog, treats do come in useful if you need to take them to the vets or get them to move out of a certain room. So, it’s always handy to have a few with you. Just make sure you do pick something which is still quite healthy. For instance, you can get tasty sticks which are chewy and are great for your cats to snack on. Just make sure you read the guidelines so that you don’t end up giving them too much. After all, you don’t want to send them hyper as you have gone overkill on the treats. Also, if you are trying to bond with your furry friend, treats are a great way to show them you come in peace! Some pet owners opt to give their cat a diet similar to their own. After all, it saves paying out a small fortune on best cat food. And it’s much easier to prepare if you are making it for yourself. But it’s best not to go overboard on giving them human foods. After all, there are only some foods which they can digest well, and you could end up giving them too many calories when you are giving them real food. However, if you do want to give them some feline-friendly foods, make sure it’s something along the lines of cooked turkey, chicken or lamb. Also, canned tuna is often a popular choice with your kitty, and you can give them a mouthful of cheese if they fancy it. Just avoid things like chocolate and onion which can be toxic to your kitty. And remember to give them water and some cat milk to complete their daily diet. However, cow’s milk can cause intestinal upsets like diarrhea. When it comes to what cats can eat the lists of foods that are safe and unsafe for cats is alarmingly long. Cats are carnivores by nature and need meat in their diets, however, as with most foods everything should be given in moderation and should form part of a balanced diet. Many human foods are not safe for cats to eat and should be avoided, but some may be included in your cat’s diet in small amounts. That's why it is important to know what can cats eat and learn that some human foods are toxic to cats and ingesting certain foods could be fatal for cats. 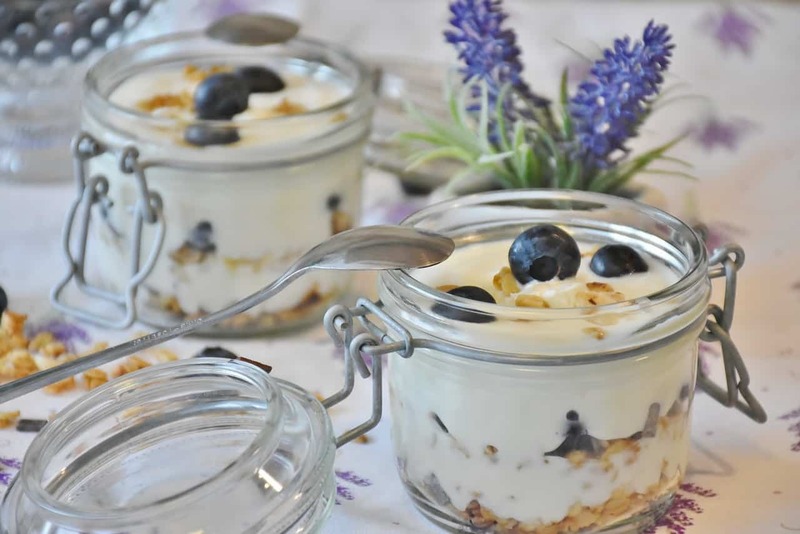 Before we take a look at certain human foods and whether or not they are good and safe for cats lets clear the air regarding some food myths starting with milk and cream. Cats love milk and cream and the high volume of fat in milk can be good for your cat. Many people when thinking of cats immediately picture them lapping up a bowl of milk and therefore it is immediately associated with cats and accepted as safe for cats. Some cat owners go out of their way to treat their cats with milk and cream on a regular basis. However, the truth of the matter is that milk and cream could be dangerous for your cat. The processed milk that we buy today is very low in fat, cats still love the taste of it, but it is very difficult for them to digest. Kittens are able to digest lactose which is the main sugar in milk and it is a valuable source of energy. Once kittens are weaned the enzyme in the gut, lactase, that helps them digest lactose disappears. This means that when an adult cat drinks milk the lactose will lie in its gut and because it can’t digest it the lactose could ferment in the stomach causing diarrhea and vomiting. Other myths are those dry cat foods and wet cat foods, this is debatable and will probably depend on who you ask. Both have pros and cons and should be included in your cat’s diet. It is not recommended to choose one over the other and eliminating one from your cat’s diet entirely. A healthy cat needs both in its diet as each one contributes to a healthy gut, fur, teeth, and bones. Adding to that, you could also think about other foods that help treat specific cat conditions such as hypoallergenic cat food or cat food for hairball control. Regardless, you should still think of careful considerations before giving any kind of foods for your cat. Chocolate can be fatal to cats and should be avoided. As cats cannot taste sweetness most cats will not eat chocolate, however, they could be convinced to eat it by their owners who are unaware of the danger. Theobromine is a diuretic, a vasodilator, and a heart stimulator and is found in all types of chocolate. It is the theobromine that makes the chocolate so lethal for cats. The darker the chocolate the more dangerous it is. 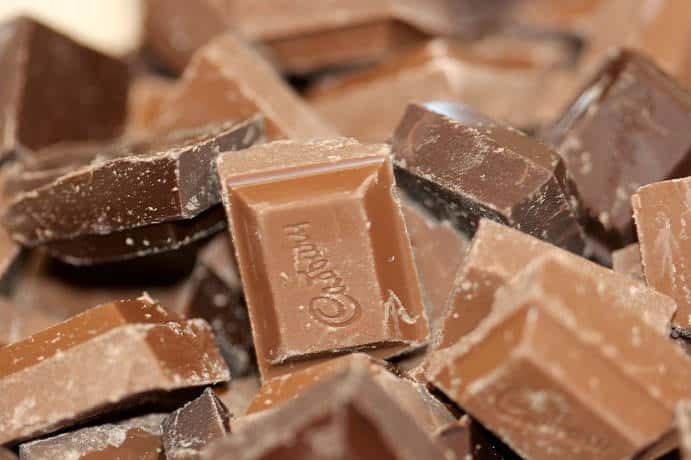 If your cat licks some chocolate it is no cause for worry but too much chocolate could cause tremors, abnormal heart rhythm, seizures, and possibly death. While peanut butter isn’t deadly to cats, it doesn’t mean that it should be included in their daily diet. Many cats enjoy the taste of peanut butter and it can be used to help them get pills and medication down. Hiding a pill in peanut butter will make it go down easier. 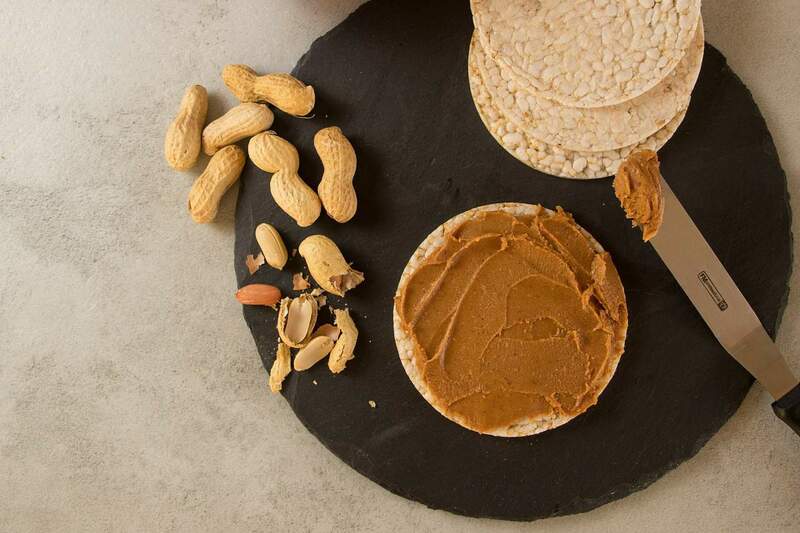 Peanut butter contains high amounts of fats and carbohydrates which when given regularly. 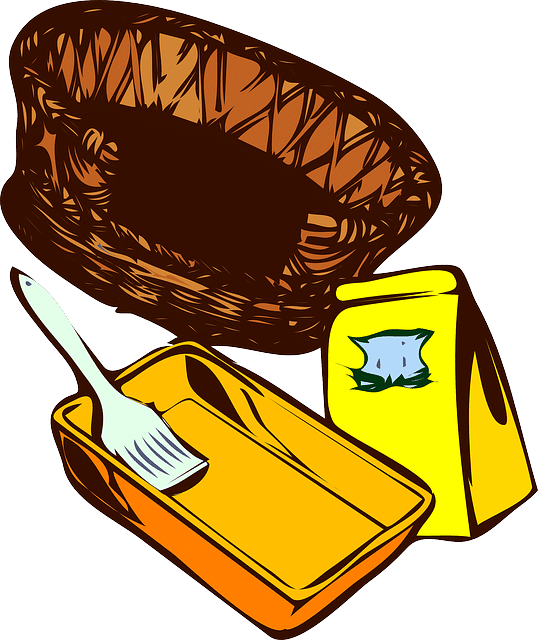 The stickiness of peanut butter can also be a choking hazard and because cats battle to digest human food too much of it could give your cat an upset stomach or cause vomiting. Most cats do love cheese, but that does not mean that they should eat it. There is nothing in cheese that cats need to be healthy so rather avoid it. It is not dangerous or lethal for cats, however, most cats are lactose intolerant and don’t process lactose very well. Too much cheese could give your cat diarrhea. 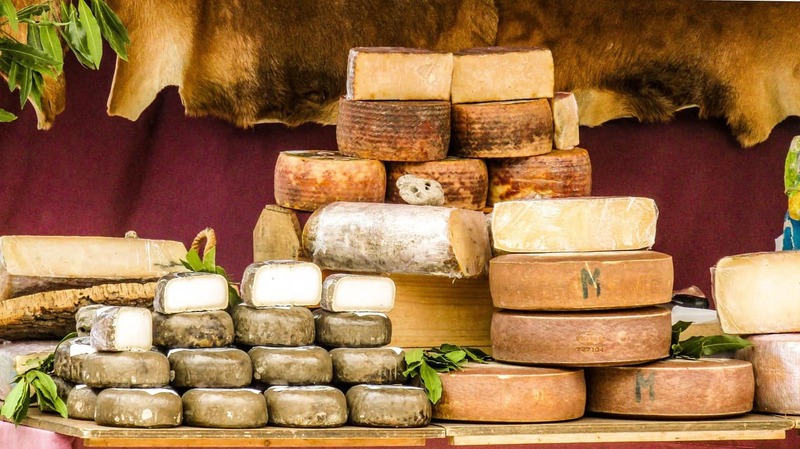 If your cat really loves cheese a small amount as a treat occasionally won’t harm him but you need to control the cheese intake and only give in moderation. Bananas are not an appropriate food for cats and they have no nutritious value for cats. Even though bananas are high in fiber, cats don’t need much fiber in their diet. 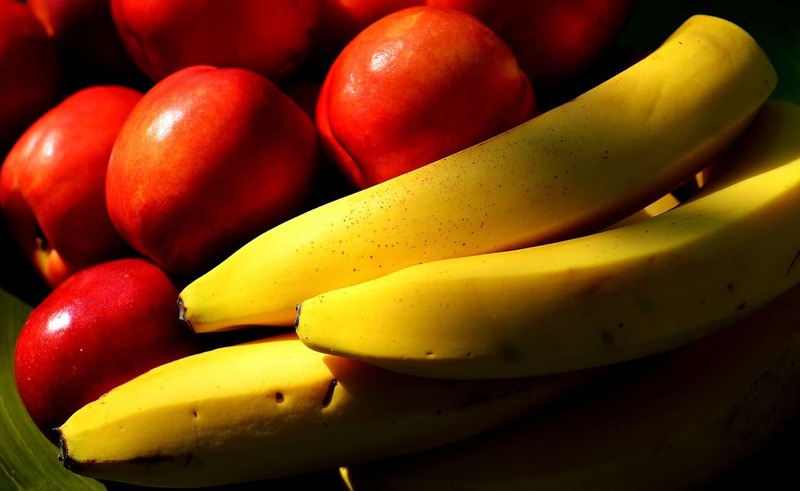 Bananas are in no way toxic to cats so if your kitty loves to nibble on a banana every now and then there is no harm in that, although, he will be better off with a snack that is higher in protein and nutrients. Dog food is specially formulated for dogs and their dietary needs and dogs and cats have different dietary needs. 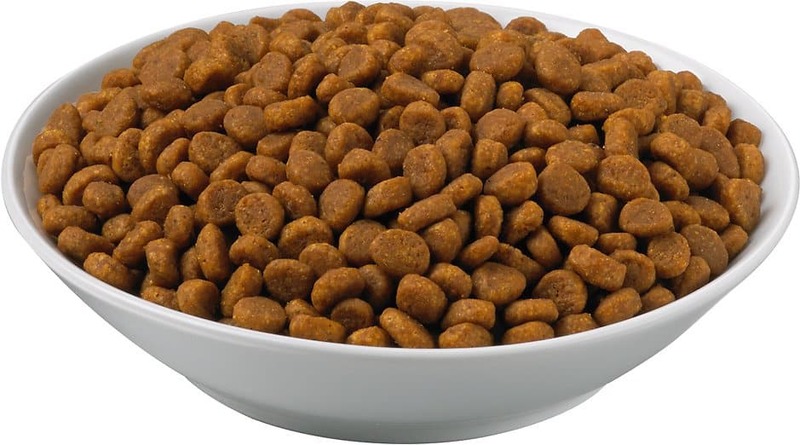 Will your cat die if it occasionally eats dog food? The answer is no, however, you cannot substitute your cat’s food with dog food. Taurine is an amino acid that contains Sulphur and it is important in the metabolism of fats. Dogs produce their own taurine, so their food is low in taurine. Cats do not produce enough taurine, so cat food has added taurine. Substituting a cat’s food with dog food will have negative effects on the cat and is not advised. 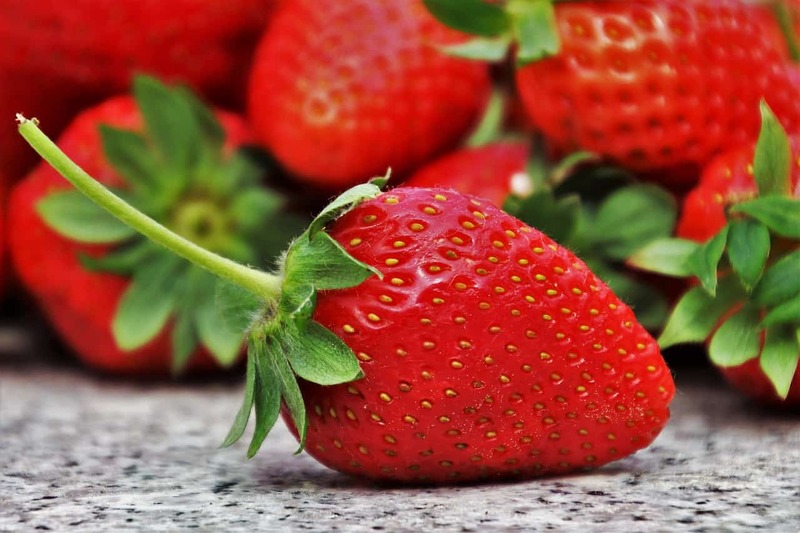 Strawberries are non-toxic to cats and can safely be eaten by cats, however, they hold no nutritious value to cats, so it would be better to offer your cat a more nutritious snack. The only thing that a cat may benefit from is the anti-oxidant properties of the strawberry. Strawberries are very high in sugar, so your cat’s stomach could get upset if it snacks on too much strawberry. If your cat enjoys strawberry only give it in moderation. Yes, cats can eat apples. The important thing to remember when feeding your cat apples is to always clean it thoroughly. Remove the peel and always remove the seeds and core. The apple seeds contain cyanide, which can be extremely harmful to your cat and an apple core can end up poisoning your cat. 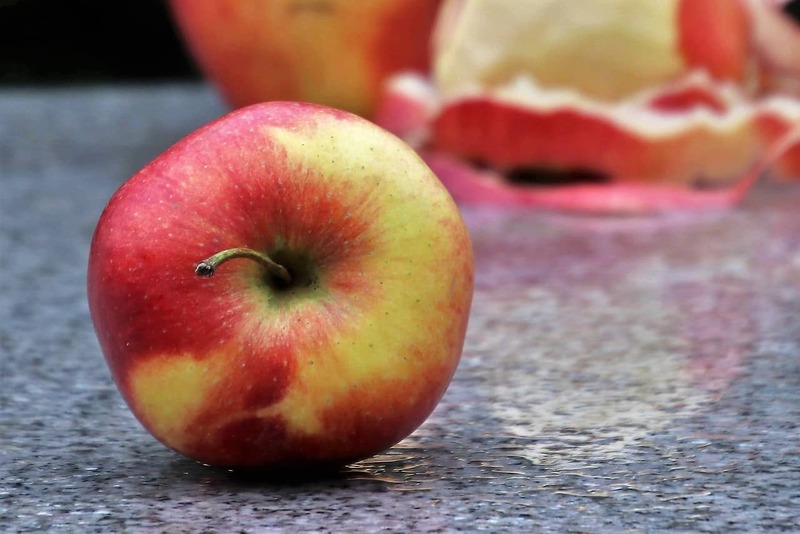 This does not make them all bad though, apples contain many vitamins and nutrients, like calcium, pectin, vitamin C, and vitamin K that are all good for your cat. Cats can be given a few small pieces of bread occasionally as a snack, but it should not form a regular part of their daily diet. Bread has no nutritional value to cats. Cats are able to digest baked bread and when given as a snack should be given plain with no spreads on it. 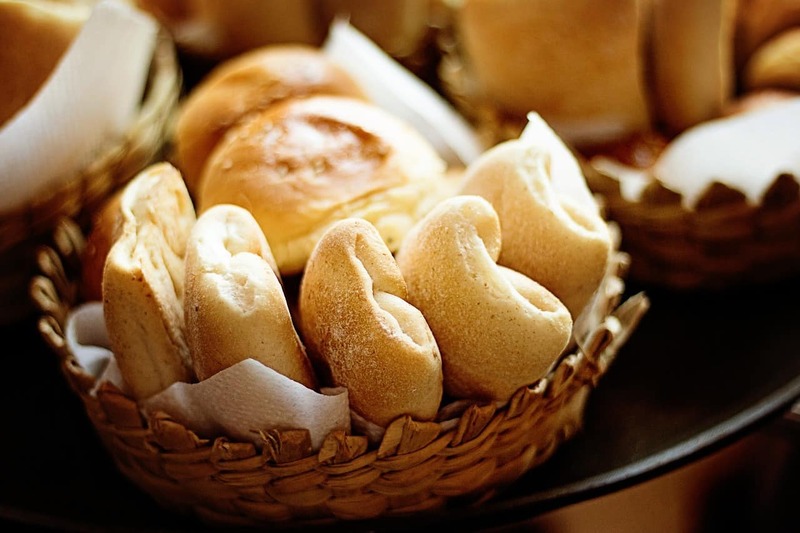 Baked bread has no value to a cat and is harmless, however unbaked bread dough could be fatal to your cat. Bread dough can rise rapidly in a cat’s stomach and cause many issues. A cat that has eaten bread dough should be taken to the vet as soon as possible. 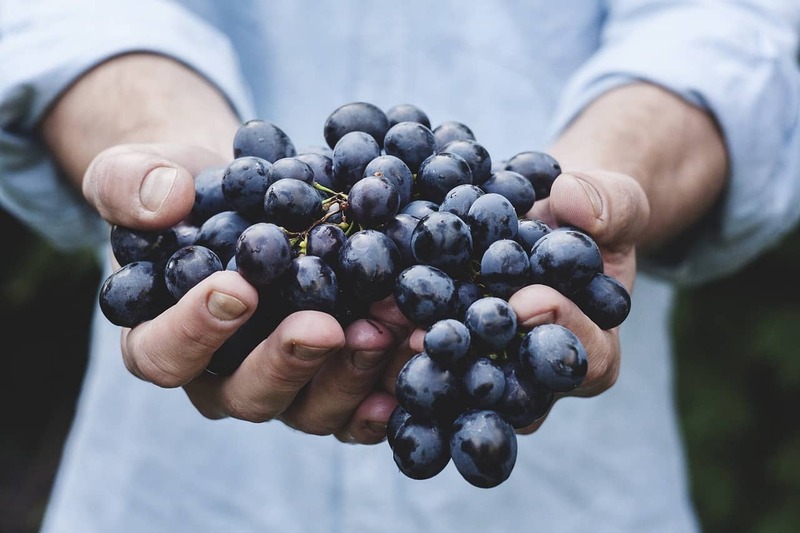 No, there is no scientific evidence that grapes are toxic to cats, but grapes are known to cause severe harm to dogs causing acute kidney failure. Many foods that are harmful to dogs can also be harmful to cats, it is, therefore, important to keep grapes away from your cat. If your cat accidentally eats a grape, keep an eye on it and watch for signs of gastrointestinal distress such as diarrhea and vomiting. If you notice any of these symptoms it is best to get your cat to a vet. The fact that grapes are so dangerous to dogs is enough reason not to tempt your cat with grapes and avoid them entirely. Your cat can most definitely eat rice. 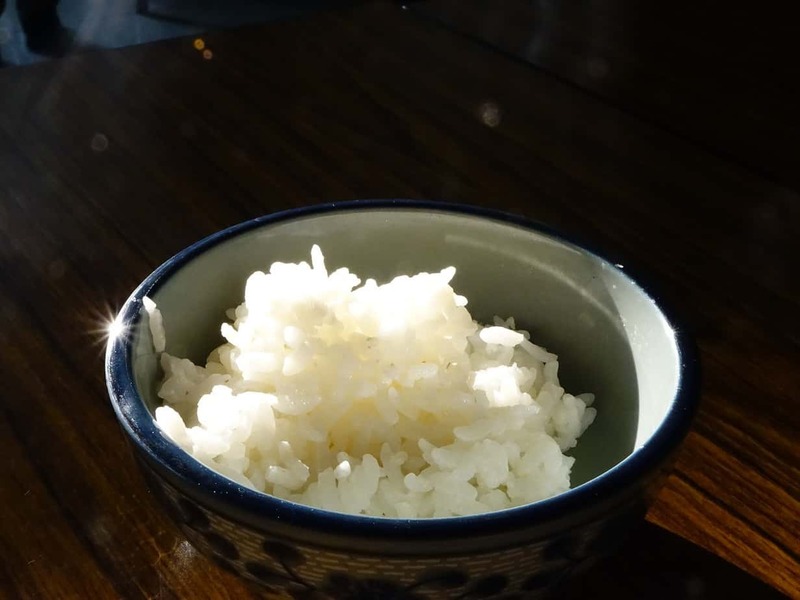 Rice can be a great source of carbohydrates and not only can cats digest rice with no problem it actually helps the cat’s digestive system. Rice is possibly one of the easiest grains for cats to digest. Cooked rice is good for your cat when worked into the diet in moderation. Never feed your cat uncooked rice as it will swell in the cats’ stomach causing it to become bloated, this can be uncomfortable and sometimes even painful. Not only are blueberries safe for cats to eat they are a great source of Vitamin C, fiber, and antioxidants. If your cat enjoys blueberries you can let him snack away. 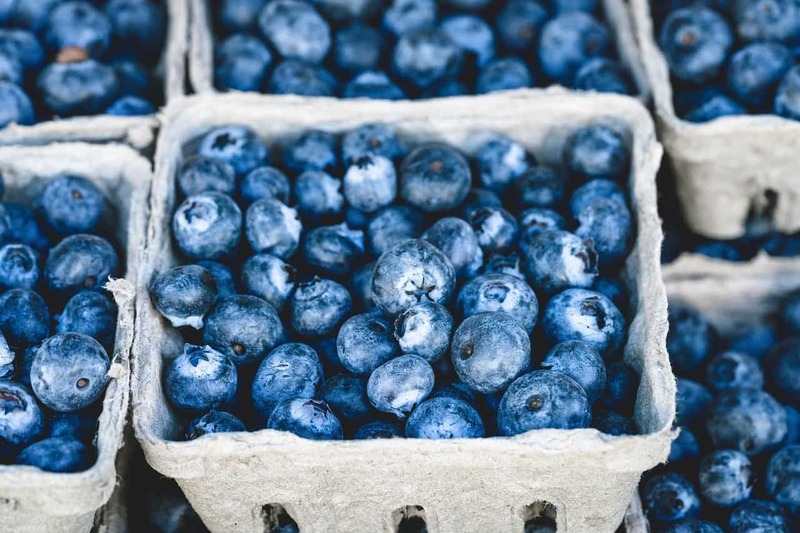 Blueberries are full of nutrients and your cat can also benefit from the antioxidants in blueberries. Some cat foods have blueberry extract included because of the nutrients of the fruit and also because of the flavor it adds. The antioxidants in blueberries also help persevere the cat food. 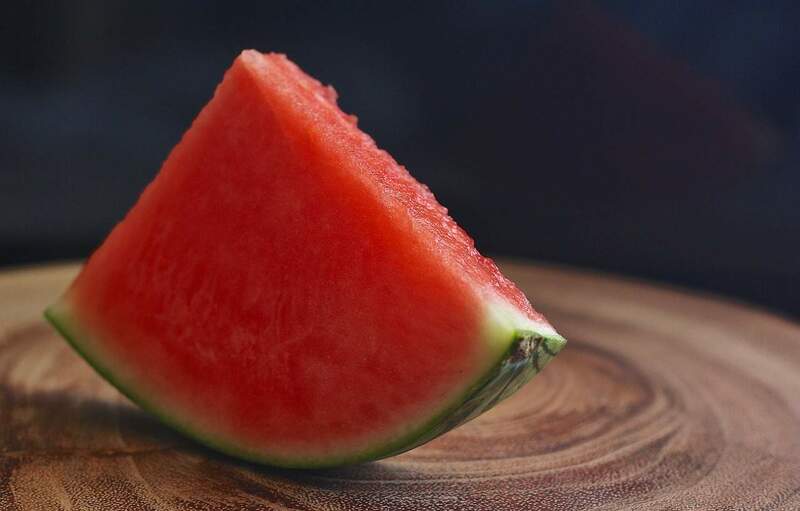 The actual fruit of the watermelon is perfectly safe for cats to eat and contains vitamins A and C. If you find that your cat is dehydrated watermelon is a great choice to get your cat rehydrated. Beware and make sure that you remove all the seeds as they contain compounds that can be harmful to your cat. Watermelon seeds that are ingested could lead to you having to visit your vet. It is best to stay away from popcorn. Popcorn adds no nutritious value to your cat’s diet and can do more harm than good. 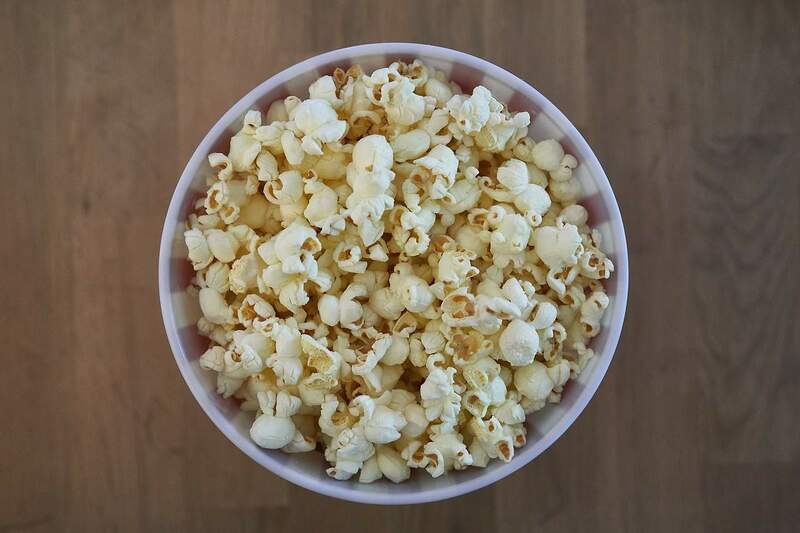 The problem with popcorn is that it is mostly covered with salt, butter, spices, caramel, chocolate and loads of other preservatives. So, while the popcorn itself may not harm your cat the preservatives are very harmful. If you give your cat a few pieces of air-popped popcorn that has nothing added to it, it will most likely not harm the cat, but why risk it? Also, be careful not to give your cat unpopped popcorn as this could be a choking hazard especially in kittens. Carrots are something that your cat can eat without worrying about if they are toxic or not. It is best not to give them raw as they are hard and crunchy, and cats find them hard to chew. 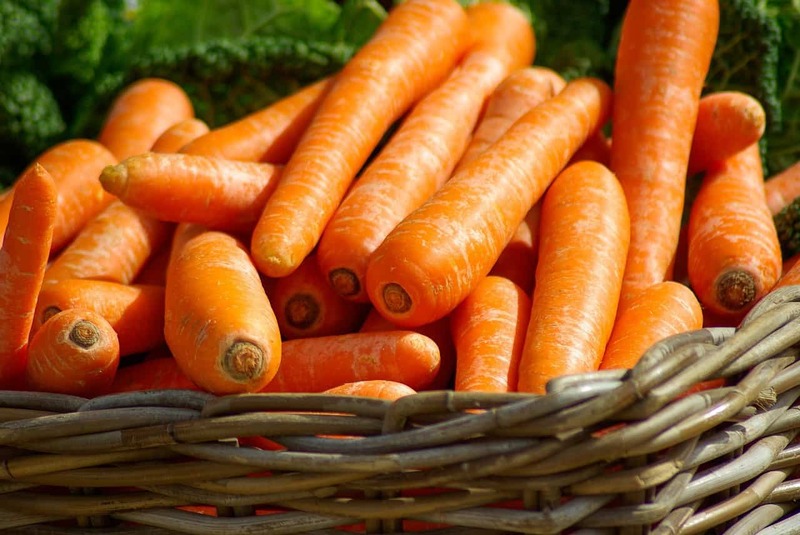 Cooked carrots are an excellent source of a lot of different vitamins and minerals, including healthy beta-carotene. Remember though when cooking the carrots for your cat to keep it simple and naturally avoid adding any flavorings and spices as these may cause harm to your cat. Most cats love catnip and it is safe for them to eat. 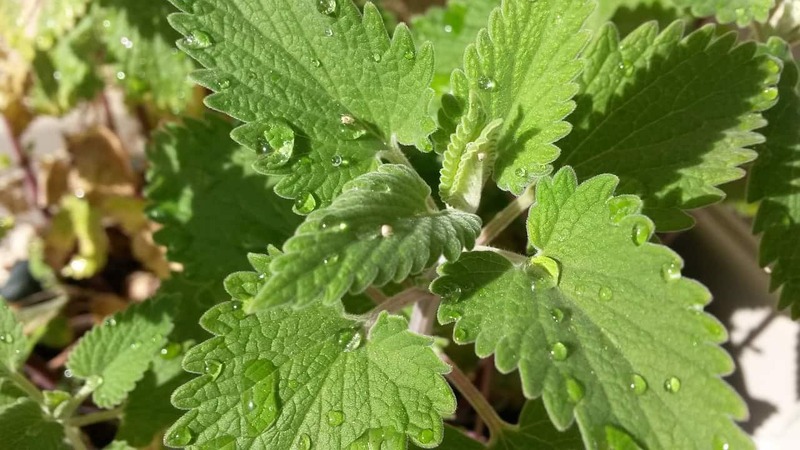 Catnip is a perennial herb and it is a member of the mint family. The chemical compound in the plant that attracts and affects cats is called nepetalactone. This is found mostly in the leaves and stems. When sniffed by cats the Nepetalactone acts as a stimulant which puts the cat on a high, so to speak. This high will last approximately 10 minutes before your cat will return to normal. The interesting thing about catnip is that when a cat eats it, it has the opposite effect and acts as a sedative. If your cat does have a sensitivity, it will not show until your cat is several months old as kittens are not affected by the chemicals in the plant. Catnip is safe for cats. Even if they eat a lot, they may vomit and have diarrhea but will return to normal after a while. Corn is non-toxic to cats, but that does not mean that it should be included in their diet. Corn has no dietary benefit for cats whatsoever and too much of it can lead to diabetes, digestive disorders an obesity in cats. Many low-quality cat foods use corn as a filler ingredient and should be avoided. 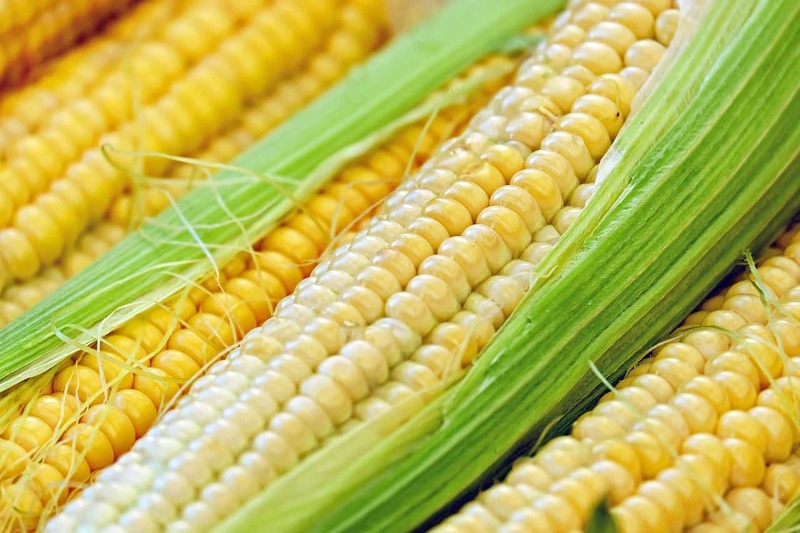 Corn is not a very good source of protein and too much of it in the diet can cause skin disorders. It is best to avoid corn as far as possible. Avocados contain a toxin called persin which has no effect on humans but can be harmful to your cat. 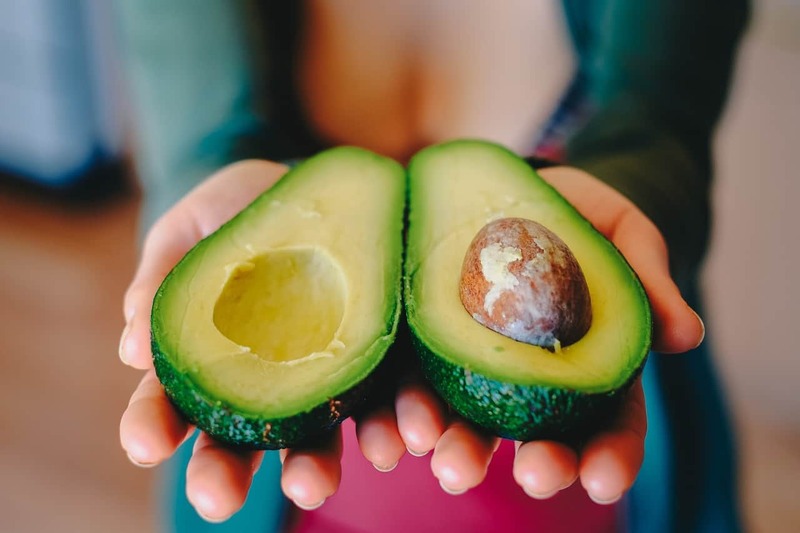 If your cat does eat some avocado or even the leaves, the bark, or the stem of the avocado tree, you need to get your cat to your vet instantly. Feeding your cat too much avocado could be fatal to a cat. Even a little bit can be dangerous and lead to difficulty high fever, breathing, and more. Do not feed your cat avocado under any circumstances. Cats should stay away from tomatoes especially green tomatoes. 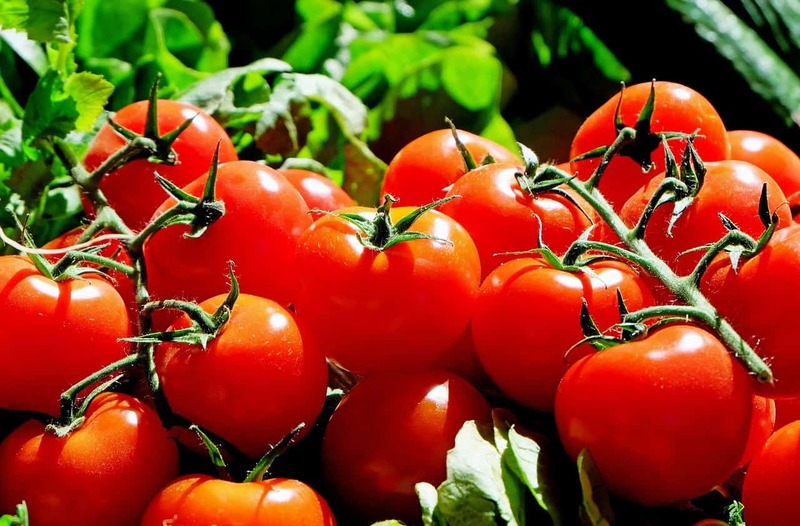 Tomatoes contain Solanine, the riper the tomatoes the less Solanine. Solanine is poisonous to cats. Cooking a tomato removes most of the Solanine and some cat foods even contain tomato juice. Solanine will not kill your cat but will make it ill especially if it ingests a green tomato or the tomato plant. Yes, your cat can eat Yoghurt, it is healthy for cats due to the active bacteria cultures that are present in plain yogurt. The bacteria can improve your cat’s immune system and improve their digestion. Intestinal flora in bacteria cultures helps a cat’s stomach and bowel movements. If your cat has diarrhea, then a small amount of yogurt before they eat their meal may help. Yogurt is even beneficial for cats when they’ve swallowed too many hairballs. As long as you are giving your cat plain yogurt, it is the best dairy product for adult cats to eat. Cooked potatoes are safe for cats to eat. 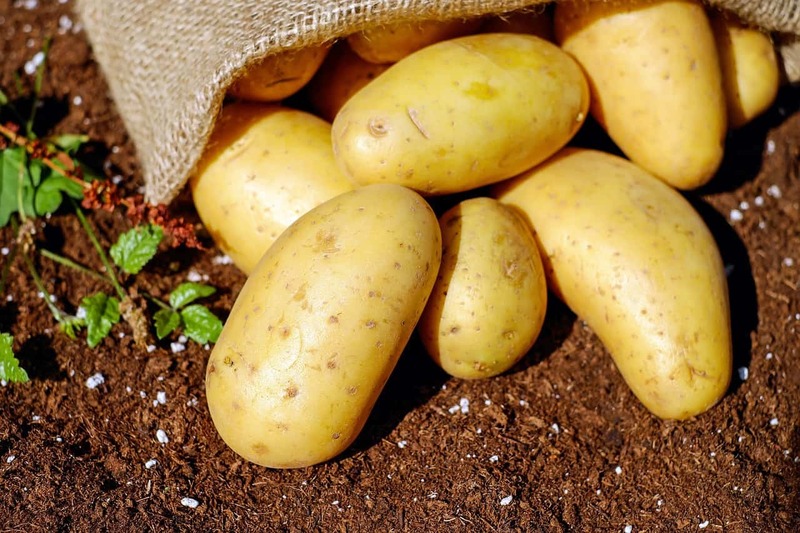 However, raw potatoes contain an alkaloid that is toxic to cats called glycoalkaloid solanine. Once a potato has been cooked, the heat destroys the toxins and makes it safe for cats to eat. Boiled and steamed potatoes are ok for cats, as fried potatoes contain too much fat from cooking oils. Also, avoid leaving potato chips near your cat. The salt and fat aren't healthy for cats. Even cooked potato should be given in moderation and a small spoonful every now and then will be ok but don’t include it in your cat’s diet regularly. 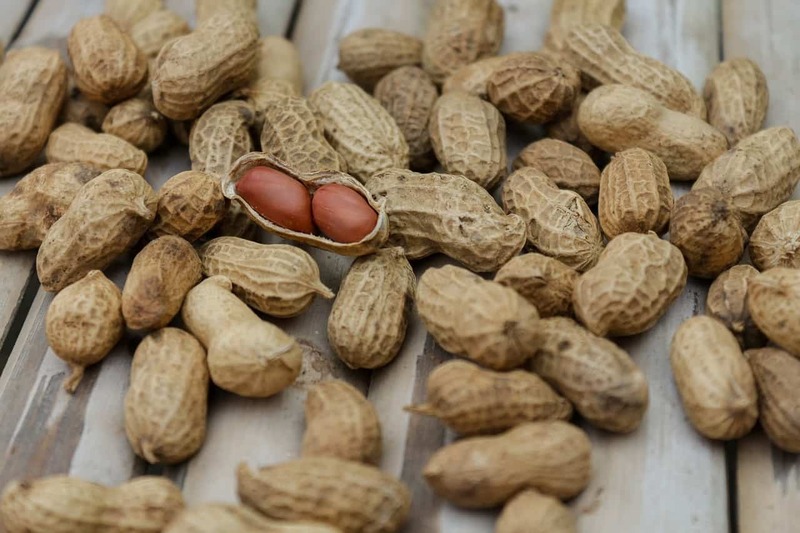 Peanuts may not be poisonous for cats, but they can be dangerous for cats. Peanuts are high in protein, which cats do need but they are also very high in fats, and cats can have a hard time breaking down fats. This can cause some tummy trouble for your cat, maybe some vomiting or diarrhea, if your cat consumes too many peanuts. A peanut or two is not enough fat to be of any danger to your cat, but your cat should not have much more than that at once. Peanuts are also high in salt unless they are raw, and salt is very bad for cats. If you decide to treat your cat with a peanut only use raw peanuts that are unsalted and unshelled. Pieces of shells can be hard, and even dangerous to the digestive tract. They splinter and have the ability to cut the throat, digestive tract, and even the stomach lining. If at all possible, it is best to avoid peanuts altogether. 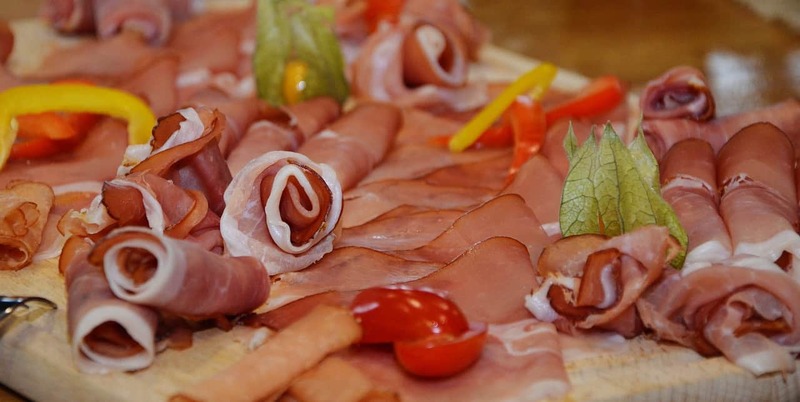 A ham is a processed meat that contains preservatives it should be given in moderation. If you want to treat your cat with ham you will need to buy a good quality ham that has fewer preservatives. All these preservatives may upset their stomachs and cause long-term health problems. Snacking on a good quality ham will provide your cat with some of the proteins that it needs but again it should be done in moderation and ham should not be the only meat and source of protein in your cat's diet. They most definitely can. 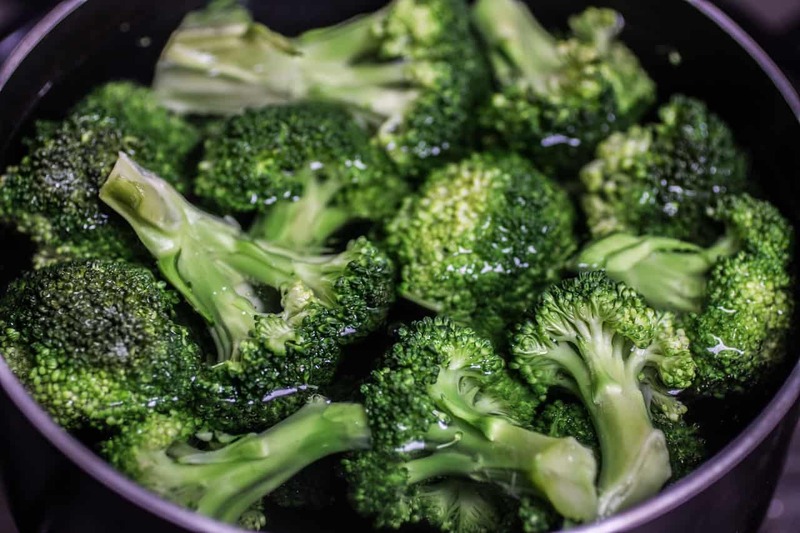 Broccoli offers some great health benefits to your cat, it is packed with anti-oxidants and is an excellent source of roughage. The question with broccoli is more will your cat want to eat broccoli? Broccoli sort of has the same effect that eating grass has and that is why sometimes your cat will be attracted to the broccoli if it has a stomach ache. If your cat enjoys broccoli include it in its diet as it offers some great benefits. If you are going to give your cat turkey make sure it is well-cooked. 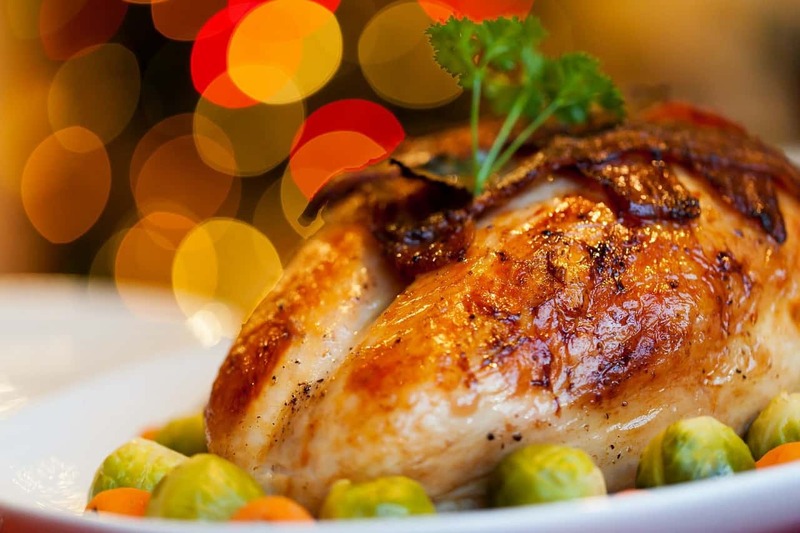 Under-cooked turkey could contain salmonella bacteria. Salmonella causes diarrhea and vomiting, along with fever and loss of appetite. Make sure any turkey you give your cat has no bones. They can create blockages in the digestive tract and throat. Also, fat trimmings should not be given to your cat at all, no matter how well-cooked. These too can cause diarrhea and vomiting. 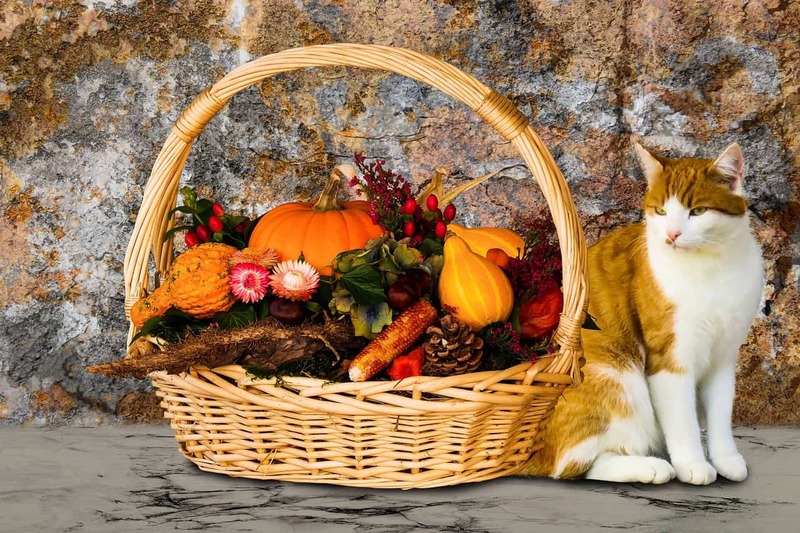 If you give your cat turkey only give it in small amounts as overindulgence is not good for cats, it is also not uncommon for cats to be allergic to turkey. Turkey in moderation is a good source of protein but should not contain any salt or other spices. 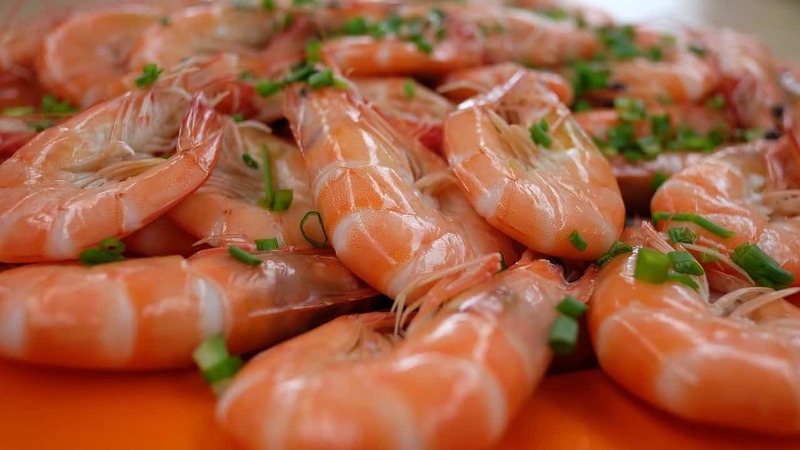 Shrimp can be given as an occasional treat or snack, but it should never be given in big quantities or for replacing a meal. It contains a good amount of protein, but it also contains a large amount of cholesterol and sodium, so you want to make sure that you only give them a small portion, according to their size. You don’t even need to cook the shrimp prior to giving it to your cat. Honey is one of those things that are not exactly toxic for cats, but it should still be avoided. 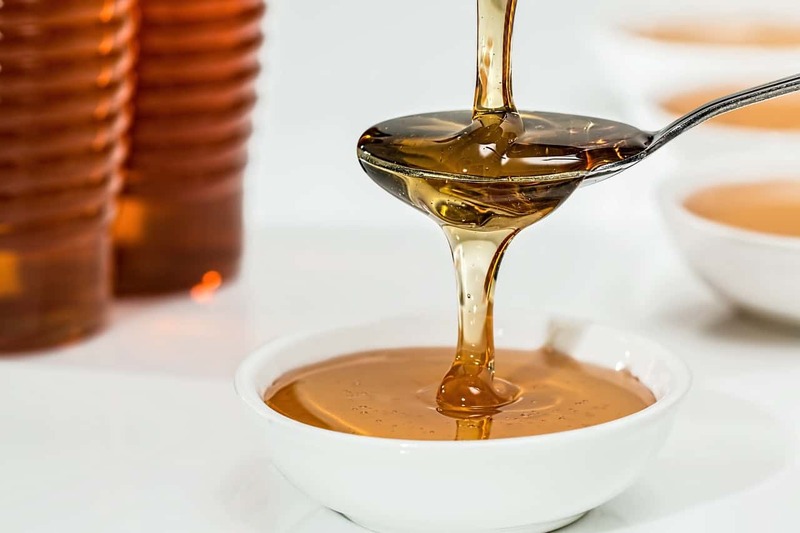 Even for humans’ honey has good qualities and some people view it as a natural antibiotic that needs to be incorporated into our daily diets. Even for people, honey is only good in moderation and too much of it could cause a stomach ache or upset the stomach. With cats, it has the same effect except that with their small size and inability to digest honey properly the effects are much greater. Because you enjoy honey you think your cat will enjoy it too, and even if that is true honey adds no value to a cat’s diet and should therefore rather be avoided. 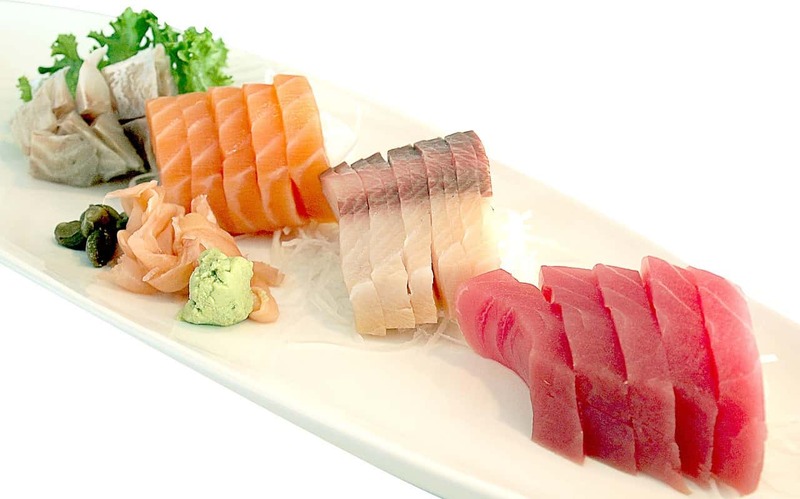 Tuna is an excellent source of protein and omega fatty acids for your cat as long as it is given in moderation. Unfortunately, tuna does not contain all the nutrients that cats need. You should never substitute your cat’s food with tuna, you may think that you are doing your cat a huge favor but in truth, the only food that has all the nutrients that a cat needs is cat food. Tuna as a treat or even a few times a week is good for your cat, but its diet should be balanced. Canned tuna is also a problem as it contains lots of extra oil and salt which is bad for your cat. Fresh tuna is best but if you can’t find it fresh choose the canned type that has no salt added. It is true that cats love all things fishy but just because they love it doesn’t mean their diet should consist solely of it. Fish has a lot of omega-3 fatty acids, which help your cat's eyes, as well as helps with arthritis, kidney disease, and heart disorders. Spinach is a yes and no when it comes to cats. Kittens should never be given spinach. 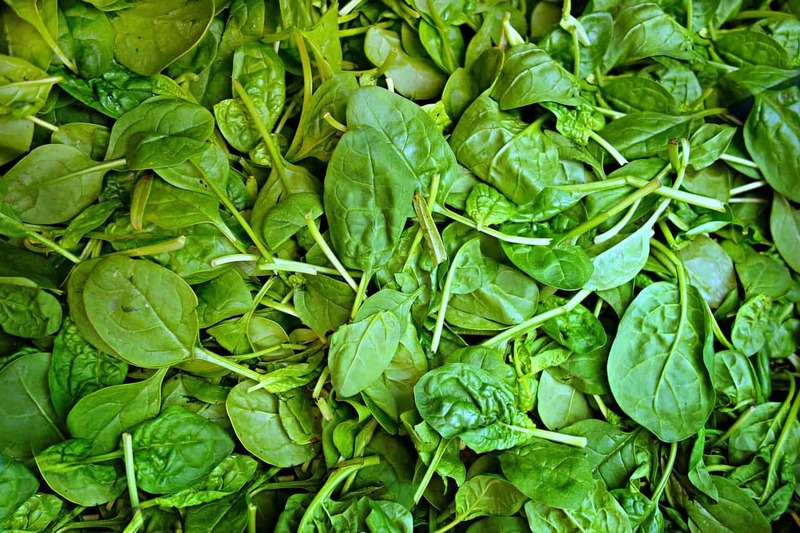 The thing with spinach is that it is packed with minerals and vitamins and it is low in calories which is great but there is a downside. Cats do need to have a few greens in their diet but too much of it can be dangerous. The downside of spinach for cats is that it contains low amounts of calcium oxalate, which when too much is ingested it can cause crystal formations in a cat’s urinary tract. It should be completely avoided if your cat already has urinary tract problems or kidney problems. Again, spinach is a human food that is great for humans but not so great for cats. Small amount worked into their diet now and then is fine but avoid large amounts. Cats should not be eating bacon. You might think that because bacon is pork it is good for your cat, this is not true. Bacon is not necessarily dangerous for cats, but it certainly isn’t good for them. The problem is not with the pork but with the fact that bacon is salty and filled with harmful preservatives. All this salt and preservatives may upset their stomachs and cause long-term health problems. 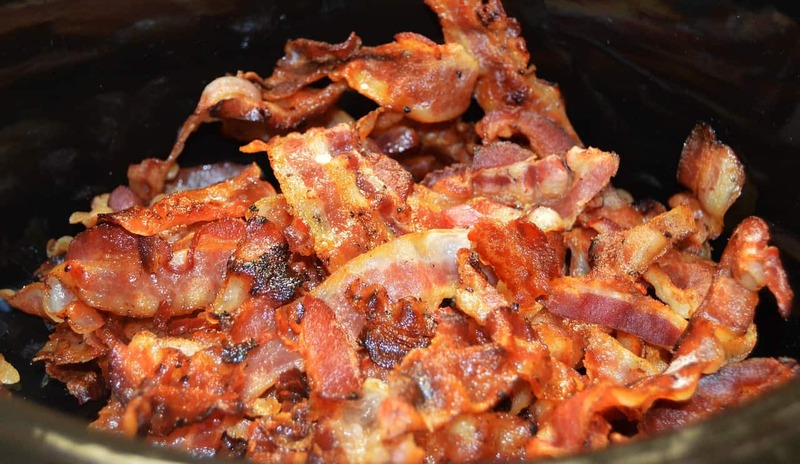 Sometimes the things we are giving to our cats as treats do more harm than good and bacon is one of those treats that you should not be feeding your cat. Yes, yes and yes again. Pork is a perfect addition to your cat’s diets. Cats are naturally carnivore and designed to digest meat. 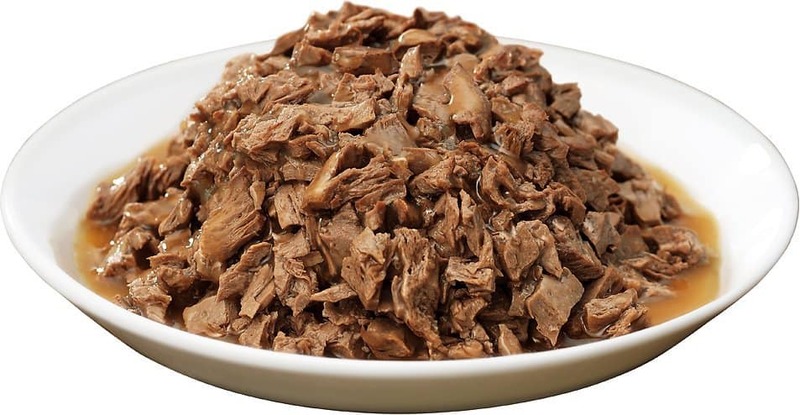 Cats need the proteins that are found in most meats to be healthy, that being said, there are limits to the type of meat and how meat should be given to your cat. Pork is one of the rare meats that are safe to give your cat raw. Pork in all its forms is not recommended for cats, bacon, and ham that are cured pork products should only be given in small amounts. The curing process involves preservatives, salt, and spices all of which are dangerous to cats. 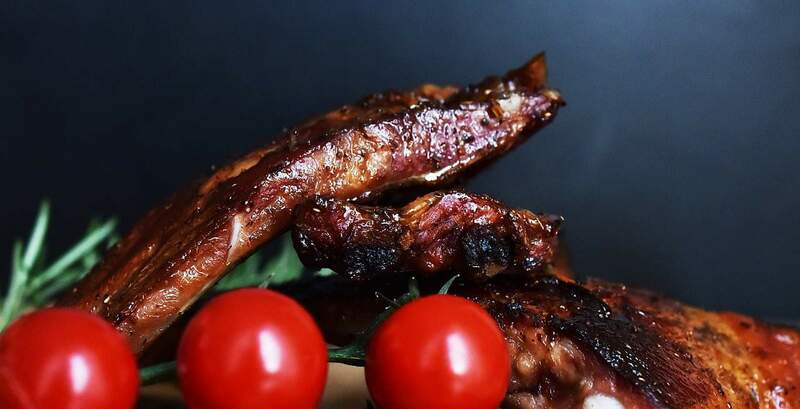 Pork is a relatively lean meat if you cut the excess fat off and it is a great source of taurine which is extremely important in a cat’s diet. Cats need taurine in their diets but unlike dogs, their bodies do not produce taurine, so they need to get it from their food. Many cat foods have a high percentage of taurine. The biggest fear that people have of giving their cats raw pork is that it is said that raw pork will give your cat Trichinosis which is caused by the roundworm parasite, Trichinella. This was a problem in the past, however, modern-day meats do not pose this danger and are safe to give your cat raw. Oranges and all citrus fruits are a big no-no for cats. Which is why it is a good thing that cats don’t particularly like citrus fruits. The smell of the orange peel disgusts cats and is a great cat repellant. 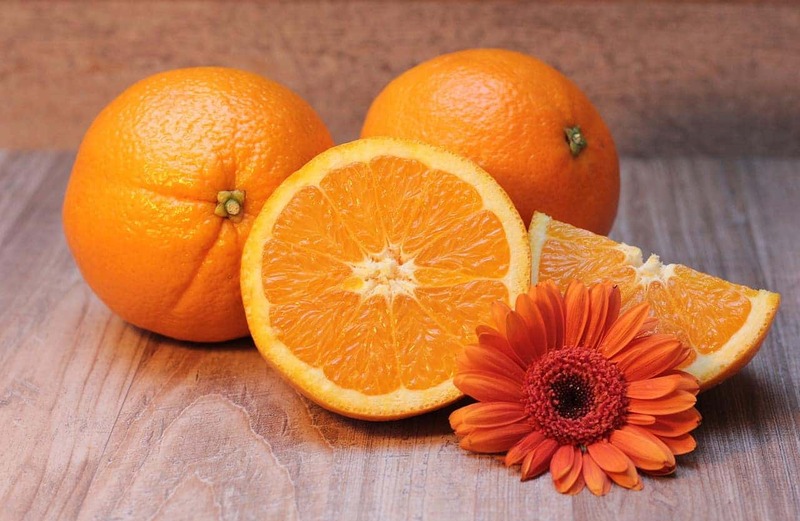 The essential oils and psoralens in oranges are toxic to cats and even though oranges have a high amount of Vitamin C which cats need, a cat’s body produces vitamin c on its own so extra vitamin c is not necessary. Most cats won’t eat oranges but if your cat did decide to eat oranges it will lead a bad case of diarrhea and vomiting. Eating oranges may also cause depression and photosensitivity in cats. There is no good that can come from your cat eating oranges so rather avoid it entirely. 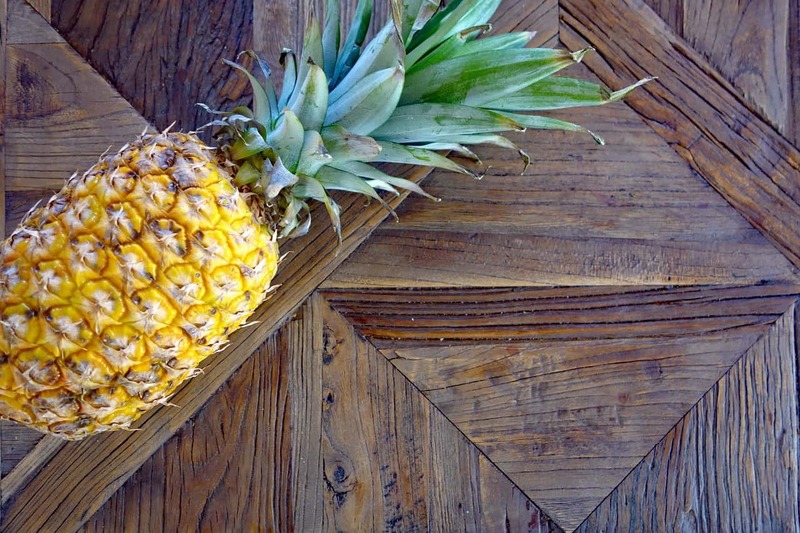 Pineapples contain actinidain and some cats have been known to react negatively to it. In general, though a small bit of pineapple will not harm your cat. Again, it does not contain anything that a cat needs in its diet, so you would be better off giving your cat something else. Lettuce is packed with valuable nutrients that could be beneficial to your cat when added to its diet. Good news is that lettuce is not toxic to cats and it has good amounts of Vitamin A. Vitamin A is essential for your cats’ health and wellbeing, however too much Vitamin A can be toxic to cats. So, yes lettuce is good for cats but only in small amounts. Think of it like feeding a baby, you will not give your baby hand full of lettuce but maybe a small leaf to nibble on, the same rule applies to your cat. 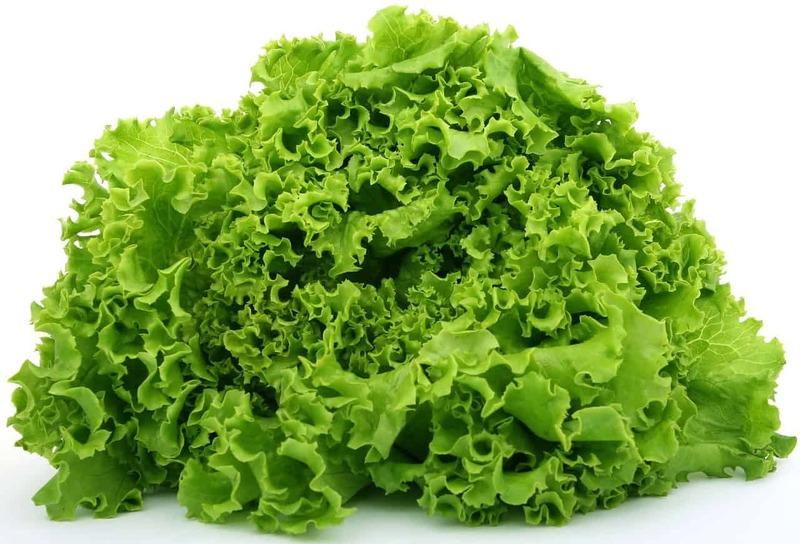 Lettuce contains a lot more dietary fiber than you would think so it also aids in digestion, too much of it will have a laxative effect on your cat and will find it spending most of the day in the litter box. Chicken is found in many types of cat food and is perfectly safe for your cat to eat. Cats are carnivores, so any type of meat is exactly what they are after. When feeding your cat chicken, you must make sure that it is very well cooked, and you should never, ever give your cat raw chicken to eat. Raw chicken can contain bacteria that could harm your cat. When cooking the chicken for the cat it is best to simply boil it without adding any salt or spices as salt and spice are not good for your cat. While you may think you are doing them a favor by adding spices, you are actually doing them harm. Cats prefer the natural flavor of chicken and other meats. The meat should also be removed from the bones as the bones pose a serious danger to your cat. The occasional bone may not harm your cat, but a cooked bone can splinter easily and could puncture your cat’s digestive tract. The skin of the chicken must also be removed as not only can it be a choking hazard it is very high in fats and too much fat is not good for your cat. While on the topic of chicken you should never feed your cat chicken broth that you have not personally made. Broth often contains onions and garlic and other vegetables and seasonings that are extremely dangerous to cats. On the other hand, though chicken eggs are a good source of protein and vitamin B, eggs are often added to and found in many cat foods. Do not feed your cat raw egg and make sure that it is well cooked. A few raspberries every now and then will not harm your cat in any way, however, too many could irritate your cat's stomach. A cat should not eat more than 1-2 raspberries per week. Raspberries contain a variety of nutrients, such as vitamin A, C and K, and magnesium, potassium, calcium, manganese, dietary fiber, that are important to have in your cat’s diet. They also contain good amounts of phenolic compounds and antioxidants. Therefore, 1-2 raspberries per week can help your cat’s digestive processes, makes them more immune to chronic disease, and provides overall metabolic and cardiovascular health. 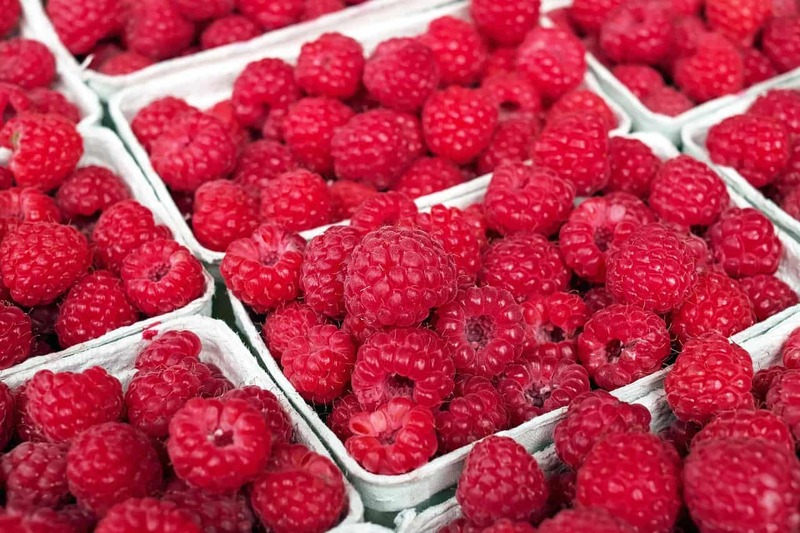 Eating too many raspberries can result in side effects such as problems with kidneys, gastrointestinal pain, and dehydration. If your cat has particularly smelly feces it is a sign that it is eating too many raspberries or too much of any fruit or vegetable and you should cut down on these types of foods. Cats are carnivores and therefore should eat more meat in their diet with moderated amounts of fruits and vegetables, also you cannot feed your cat just any type of fruit and vegetable and you should familiarize yourself with which are safe, and which are not. Just because you may think that certain foods are good or tasty for cats it may not actually be so. Natural foods which include fresh raw meat such as pieces of raw lamb and raw pork are very good for your cat to eat. When it comes to feeding your cat meat in any form it should always be fresh. Bad or off meat can be extremely dangerous to your cats’ health and should not be fed to your cat under any circumstances. To gauge if the meat is still good to feed to your cat, ask yourself the question would you eat it? If you would still eat it then it is probably still good for your cat to eat, however, if you wouldn’t eat it then you definitely should not be feeding it to your cat. Don’t cut corners when it comes to the quality of meat that you are feeding your cat ad always try and avoid bones and excess fat. Bones pose a danger of choking and splintering can harm the digestive tract. Also, avoid processed meats such as ham and sausages as they contain high amounts of sulfite preservatives that could harm your cat. Certain foods should be avoided and should never be given to your cat, here is a list of a few of them, however, there are many other foods that you need to look out for. Foods such as onions, garlic, grapes and raisins, avocados, tomatoes, corn, any fruit seeds, coffee or caffeine and chocolate are extremely dangerous and toxic to cats. The number of times that you should be feeding your cat and the portion sizes they need will depend on a few factors and will differ slightly from cat to cat. Age is probably one of the biggest factors and kittens need to be fed at least three times a day while twice a day is sufficient for adult cats. The size and breed of your cat will also be a factor when it comes to portion sizes. Resist the urge to give your cat over-sized portions as that could lead to obesity and diabetes which could be fatal for cats. 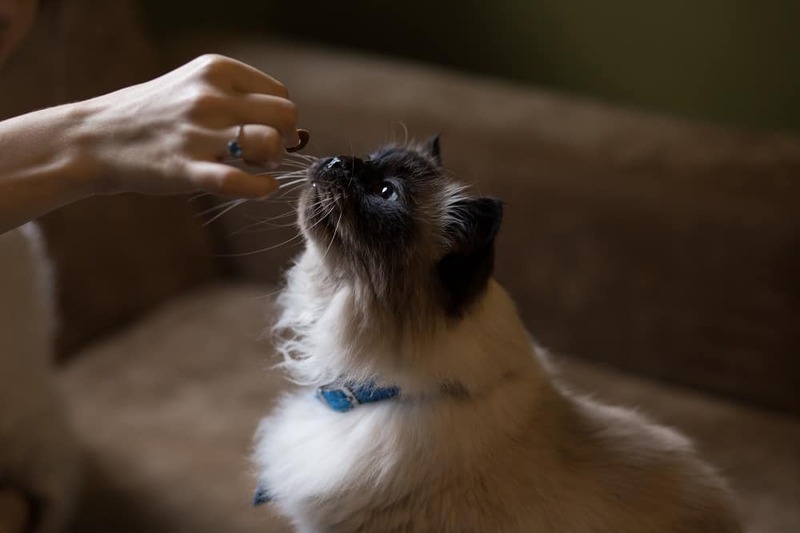 Cats are not particularly fussy eaters and will most likely try any food that you offer them, remember to pay attention to what you are feeding your cat, especially when it comes to treats and snacks. Treats and snacks should only be given in moderation and remember always that just because your cat likes a certain food does not mean that they should be eating it on a regular basis.